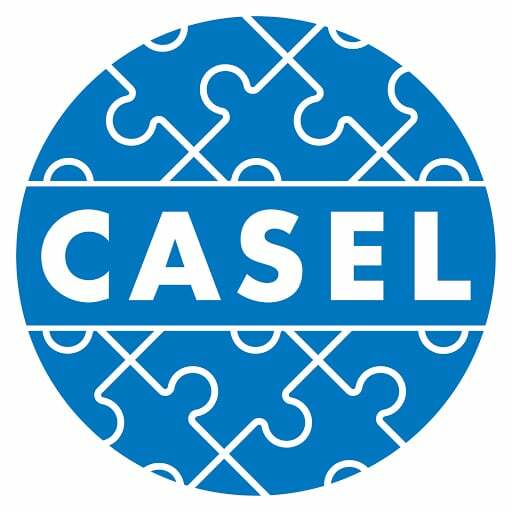 We are proud to announce that Leader in Me is now a CASEL SELect program approved for pre-school and elementary. Leader in Me (LiM) is a K–12 whole-school transformation model and process developed in partnership with educators and offered through FranklinCovey Education. Leader in Me empowers students with the social and emotional learning (SEL) leadership and life skills they need to thrive in the 21st century. In March 2018, the Collaborative for Academic, Social, and Emotional Learning (CASEL) endorsed Leader in Me as a “CASEL SELect” program (their program-certification title). This designation follows an intensive analysis of Leader in Me by CASEL reviewers to determine that the program met their quality and evidence criteria. CASEL is the leading authority in the advancement of SEL in education. CASEL’s focus on empirical evidence and extensive collaborative efforts has made it the trusted source for educational administrators and policymakers seeking guidance on effectively advancing social and emotional learning in their K–12 students. CASEL has been reviewing SEL programs for over a decade through an increasingly rigorous selection process. A well-designed program that provides schools with a systematic classroom-based model promoting the development of a student’s social and emotional competence across multiple years. Offers high-quality professional development and implementation support that ensure the school is equipped to effectively implement the program. One or more carefully conducted research evaluations of program impacts have been conducted and documents positive impacts on student behavior and/or academic performance. As a CASEL SELect program, Leader in Me will be included in the CASEL Program Guide: Preschool and Elementary Edition. The CASEL Guides provide school districts with a direction in determining which SEL program best fits their students’ needs. The updated edition that will include Leader in Me will be released this summer.